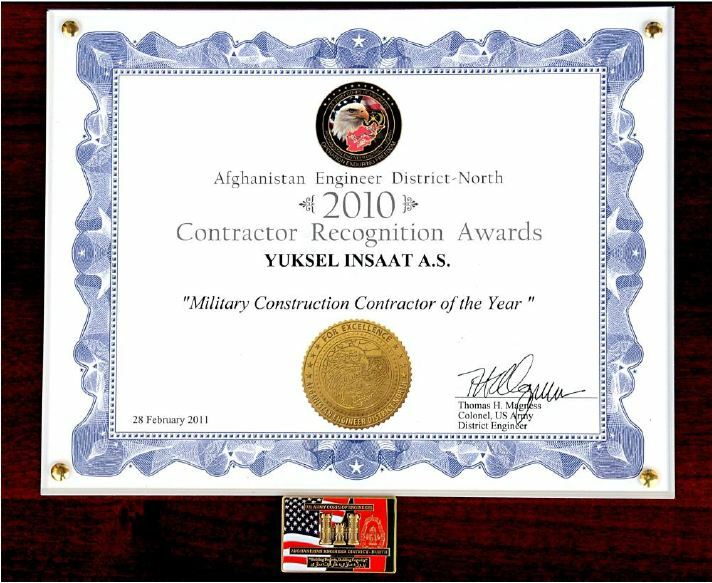 Yüksel was awarded as "Military Construction Contractor of the Year" and “Excellence in Construction Award” in 2010 Contractor Recognition Awards ceremony, which was the first annual event that US Army Corps of Engineer North (USACE ) and Afghanistan Builders Association (ABA) ever conducted. There were 31 international contractors nominated for the awards. The purpose of the event was to give recognition to exceptional contractors and individuals who made significant contributions throughout the past year.